Double Non-Stick Coating for exceptional release. Oven safe to 230degrees C. Freezer and dishwasher safe. 10 year guarantee. Cup diameter 6.5cm. 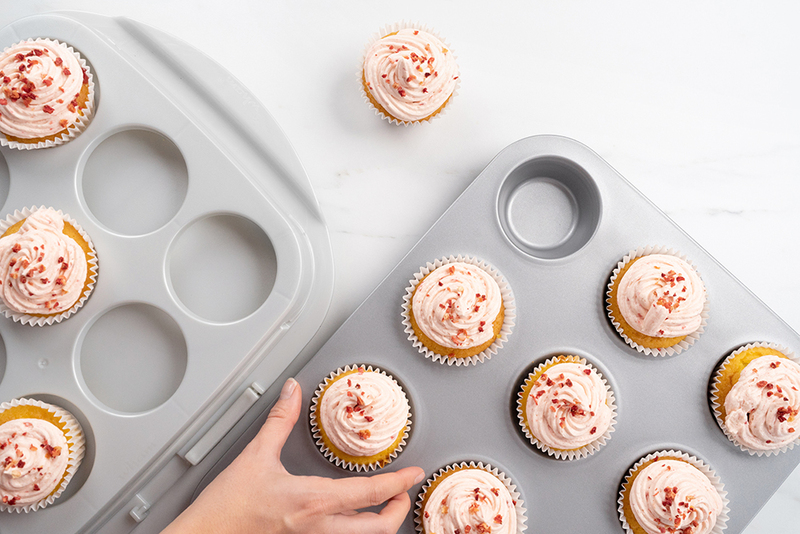 Why choose Baker & Salt Non-Stick Bakeware? 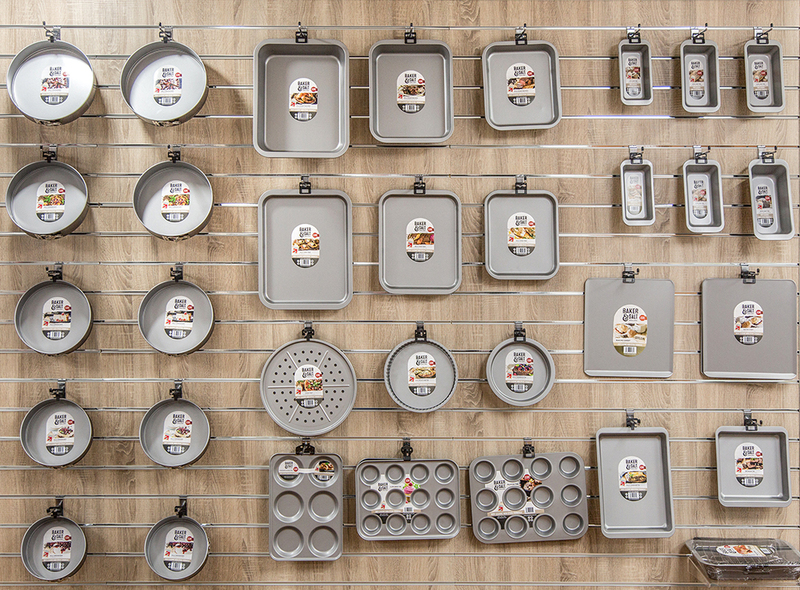 Our non-stick bakeware is double coated with exceptional release, guaranteeing a long lasting performance. Made in the UK with a 10 year guarantee. We are proudly partnered with Whitford, bringing the latest developments in non-stick technology to the market. The new formulation by Whitford, Skandia Extreme+ is a non-stick coating that delivers a performance that is reliable and makes washing up easy with it’s quick release properties. 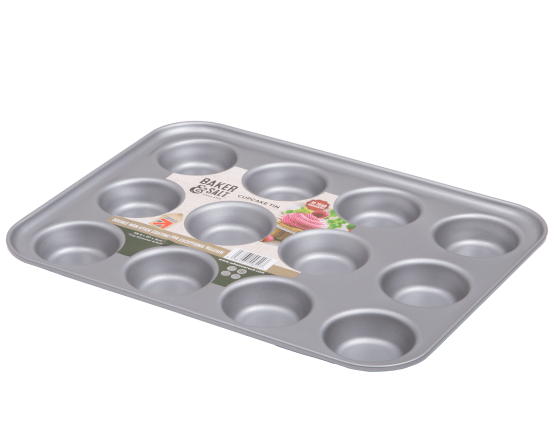 Independent tests against well known marketplace brands show the performance of our Baker & Salt range will outlast other bakeware. 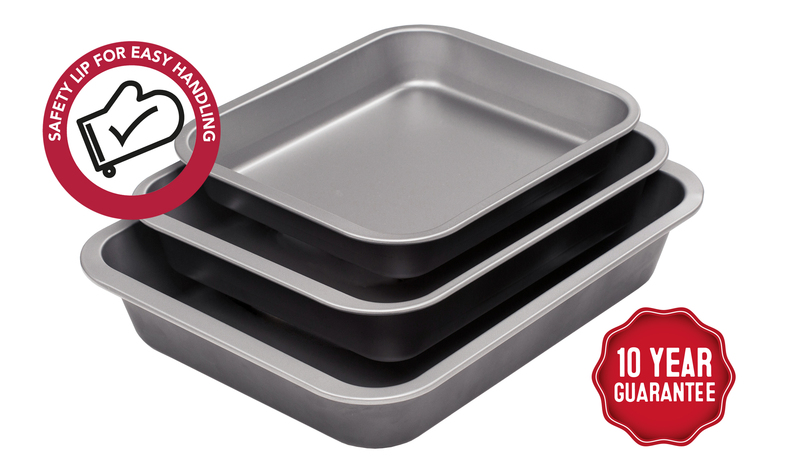 The handles are designed to make it safe and easy to take tins in and out of the oven even when wearing oven gloves. We are so confident in our coating we offer a guarantee for the construction and the non-stick coating, when used in accordance to our care and use guidelines. What More UK offer a ten-year guarantee against faulty material and workmanship, when used under domestic conditions and in accordance to our care and maintenance details provided. In the event of a complaint please contact our customer services department. This guarantee does not affect your statutory rights. Grease/oil lightly before each use. Do not bake at more than 230°C/445°F Gas Mark 8. Do not place product over direct heat, electric radiant elements or gas flame. To clean, rinse in hot soapy water. If any burnt food is left on the tin, soak in hot soapy water for a few minutes before cleaning; do not use scourers or abrasives. Metal tools should not be used as these may damage the non-stick coating. Do not cut or slice food in the tin. Dry thoroughly with a cloth before storing. Not suitable for use in a microwave.